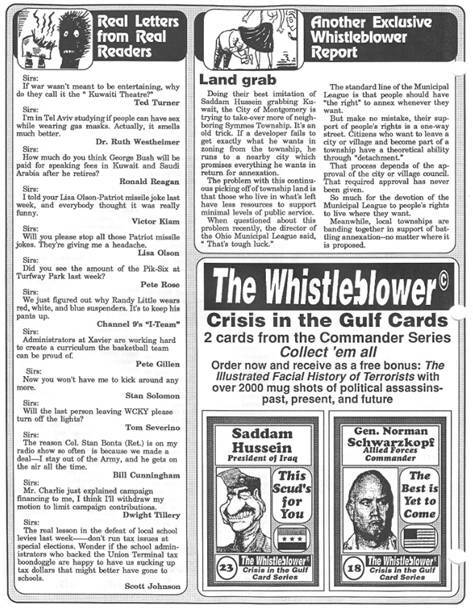 Edition #37 (published on February 12, 1991) of the original printed edition of The Whistleblower (not the Newswire) was delivered to Persons of Consequence all over town. 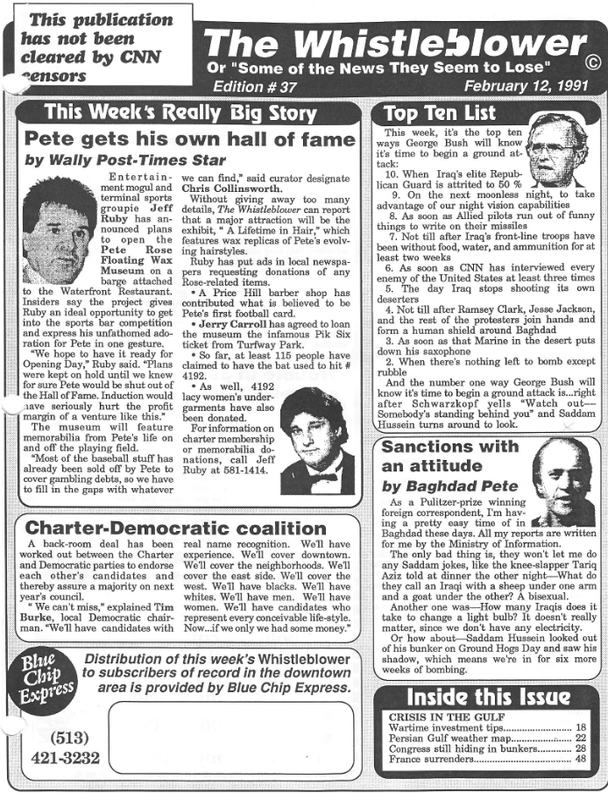 That Week’s “Really Big Story” was all about how “Pete Rose Got His Own Hall Of Fame.” The Top Ten List was the Top Ten Ways to George Bush would know it’s time to start a ground war, and a coalition between the DemocRATS and Charter Party. 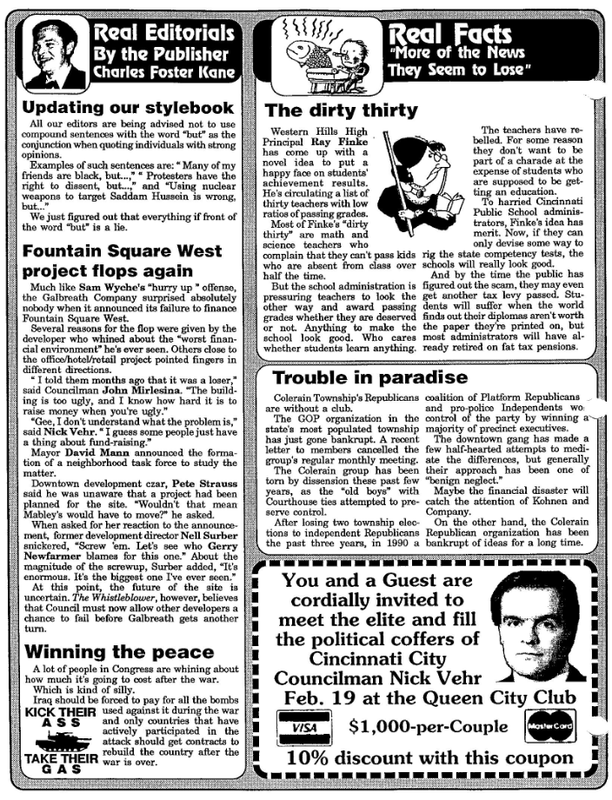 There was a Real Editorial by Whistleblower Publisher Charles Foster Kane (before he became “Beloved”), more “Real Facts,” and a Nick Vehr fund-raising ad. 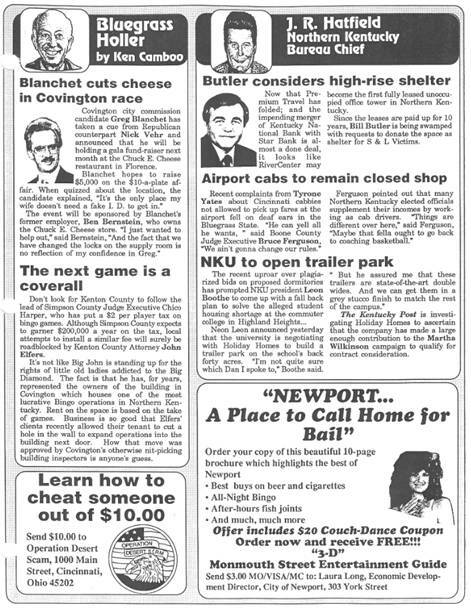 We Featured “Real Letters From Real Readers” and “Crisis In The Gulf Cards.” Page Five Featured Bluegrass Holler by Ken CamBoo, a Column by then Northern Kentucky Bureau Chief J.R. Hatfield, and our Monmouth Street Entertainment Guide. 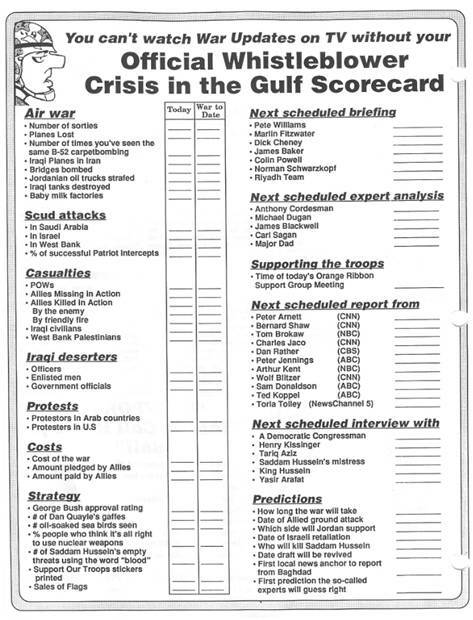 And on Page Six, we featured “our Official Whistleblower Crisis in the Gulf Scorecard. 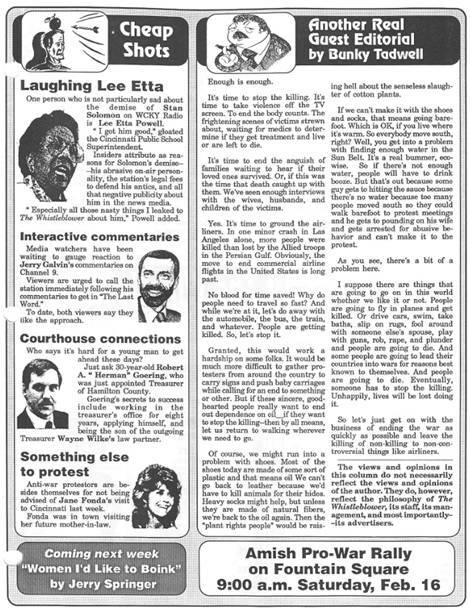 This entry was posted in Uncategorized and tagged Charter Party, Crisis In The Gulf Cards, George Bush, Nick Vehr, Official Whistleblower Crisis in the Gulf Scorecard, Pete Rose, Real Letters From Real Readers, The Whistleblower (not the Newswire) on February 6, 2019 by charlesfosterkane.